Sean Linnane: They were CHILDREN . 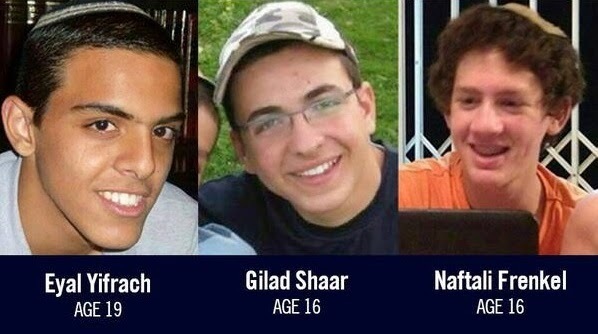 . .
Over here in the States we have been following every day the story of the kidnapped & murdered teens Eyal Yifrach, 19; Gilad Shaar, 16; and Naftali Frenkel, also 16 - it is horrific - words cannot express . . . our deepest and sincerest sympathies to their families, and the greater family of the State of Israel . . . S.L.